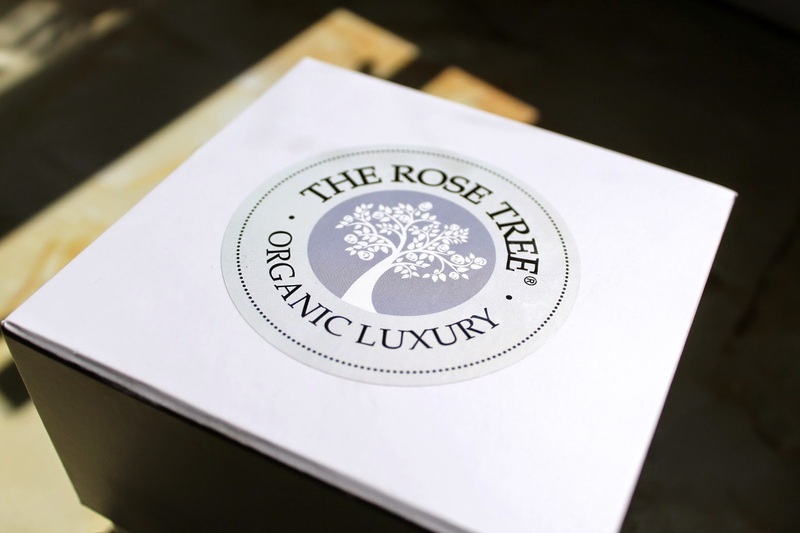 I was recently given an opportunity to try some products from the Rose Tree, an organic luxury skin/body care and candles. I decided I would post each item individually so I could give you a somewhat in depth review. I love companies that really take care with their packaging and the Rose Tree really do not disappoint. Each candle is beautifully gift wrapped. It comes in a beautiful white box with a ribbon and each candle is hand poured into a matte glass with steel cap to ensure your candle doesn't get dusty. The scent is so lovely, it smells luxurious but fresh. It's like what I would imagine the versace mansion to smell like, very rich, luxurious and fresh. 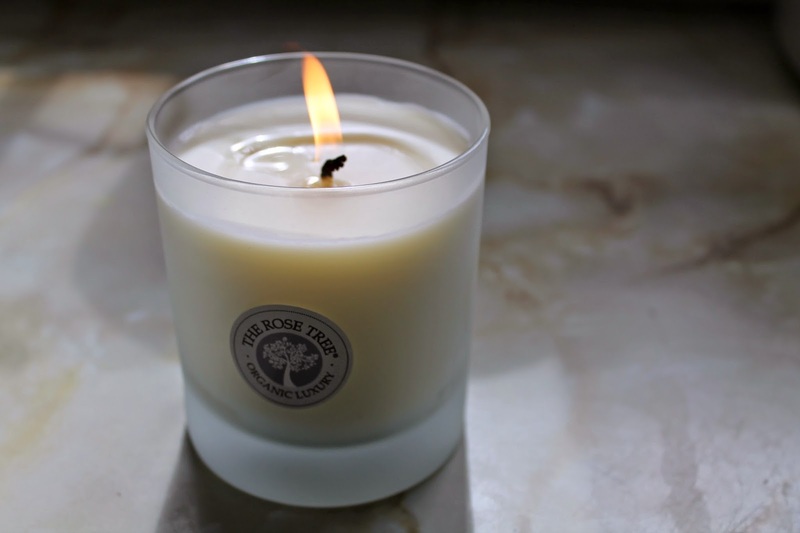 This candle is the Rose Tree No.5 it is a blend of citrus and floral tones with a hint of green, a refreshing, invigorating blend, reminiscent of an Italian garden. Includes orange (organic), lemon, petigrain, lavender (organic), rosemary (organic), lime, cypress essential oils. It's such a gorgeous fragrance and out of the ordinary but in a good way. It smells like an authentic fragrance as opposed to the artificial cotton candy fragrances. 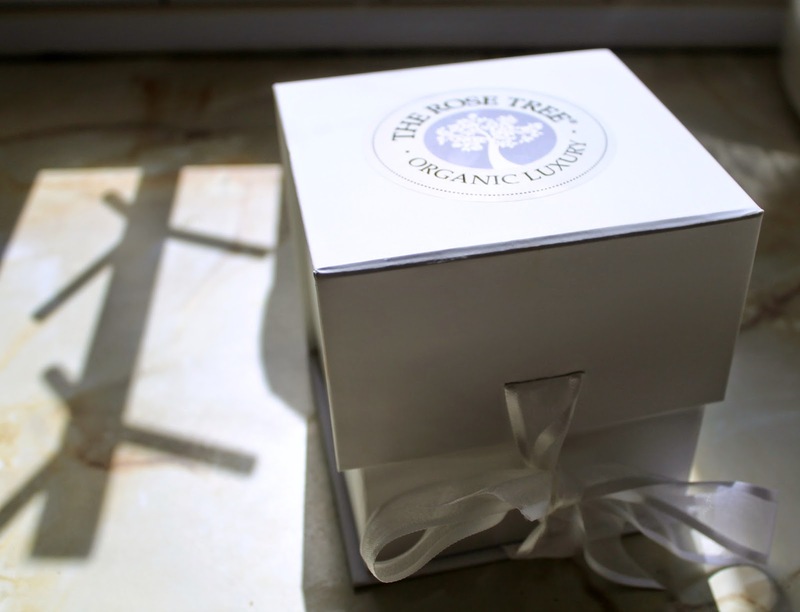 Rose Tree products are organic and they are made from 100% pure vegetable wax and are scented with pure essential oils. There is no paraffin, chemicals, artificial colours, scents. 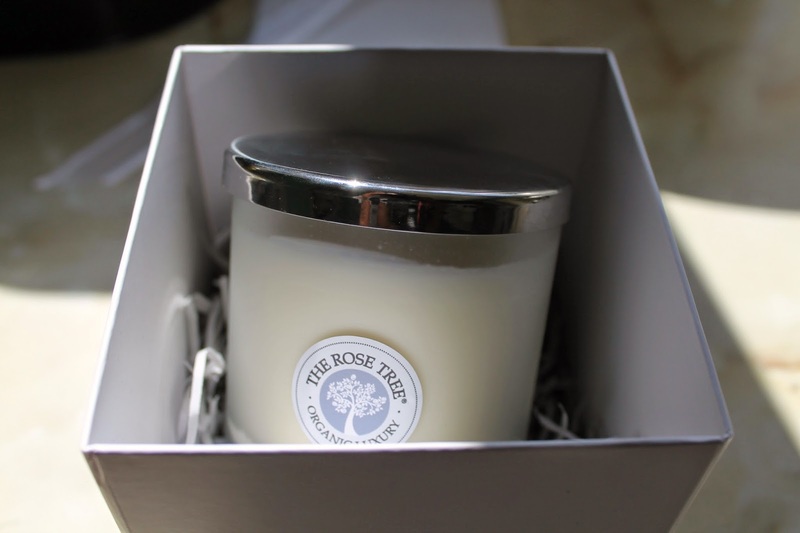 Overall, I am very impressed with The Rose Tree products and I would recommend them to anyone and especially to candle lovers and organic products enthusiasts. Make sure to give them a follow on Twitter, or like their facebook page.